The Lower Mole Countryside Trust has recently funded a training course run by the Surrey Amphibian and Reptile Group to train volunteers to identify and survey for newt species. 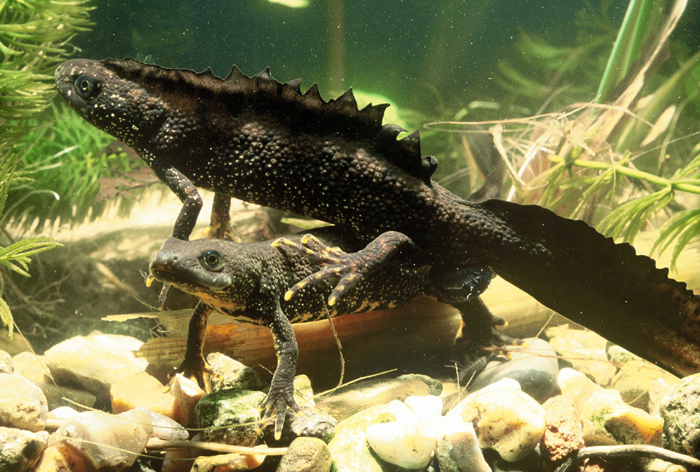 There are three native species of newt – smooth, palmate and great crested. The volunteers learnt how to tell the eggs, tadpoles and adults apart and how to survey ponds to see if they are present. The volunteers are now able to check ponds in the area to see if any newts are present which will help with efforts to conserve them. 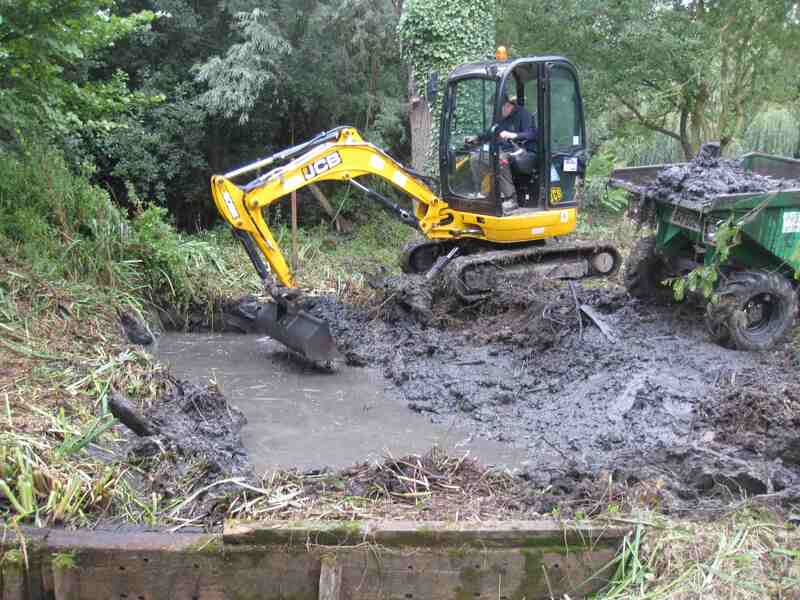 The Trust has funded work by a contractor and the Lower Mole Project at Polyapes, a woodland site owned by the Scouts in Oxshott, to improve the management to benefit wildlife. The work involved thinning some of the larger trees, coppicing the hazel undergrowth and erecting deer fencing to stop deer nibbling the young hazel shoots. This management lets more light reach the woodland floor allowing a more varied ground flora to develop. 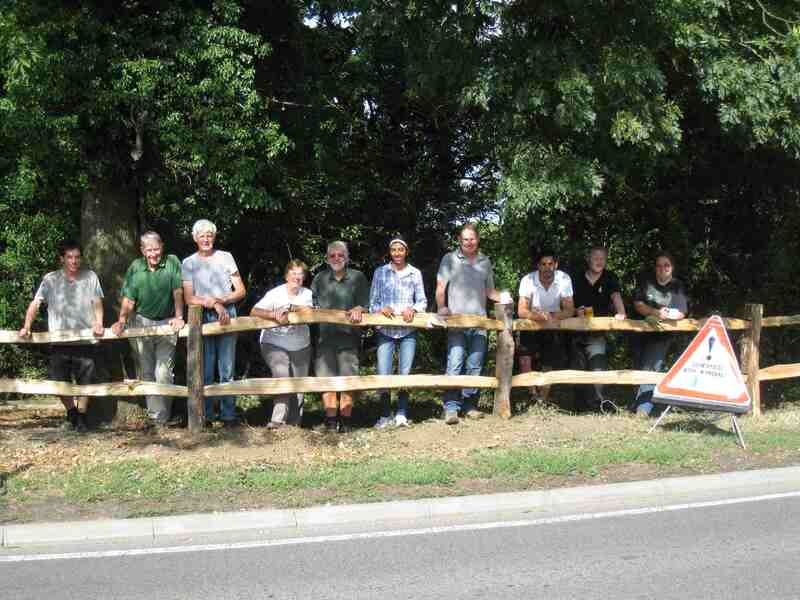 The Trust received a grant from the Royal Borough of Kingston upon Thames which funded the Lower Mole Project to erect a new sussex style fence along the boundary of Jubilee Wood Local Nature Reserve in Malden Rushett. The chestnut timber used for the fencing came from Sixty Acre Wood just up the road. The Trust agreed the third year of funding towards the trainee scheme that the Countryside Partnerships host, which is mainly funded by a Heritage Lottery Fund Grant for Skills for the Future. Each year three trainees work four months each at each project, all of the previous nine trainees have gone on to obtain employment in the countryside sector. 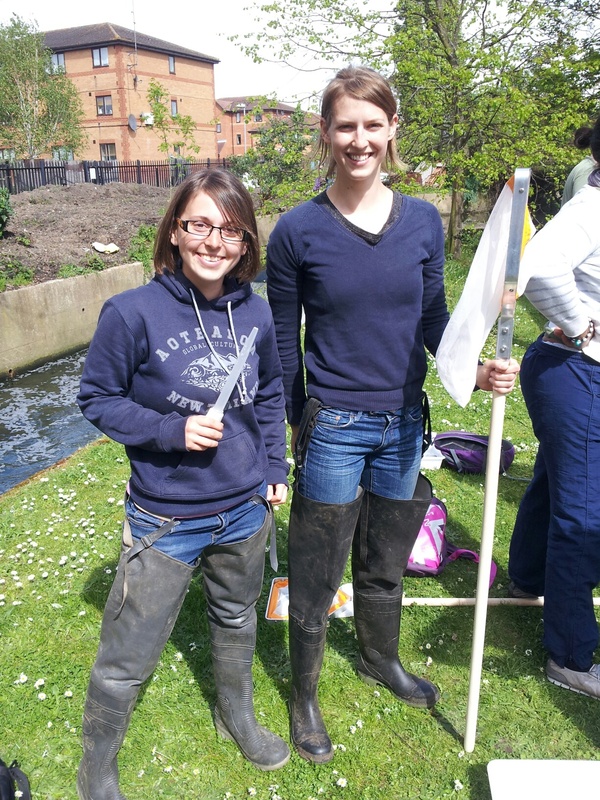 Photo shows two of this years trainees Leonie and Emma on a training course in Kingston.